Please share this announcement with any and all allies. Santa Cruz County has an unprecedented and critical shortage of supportive home placement options for foster youth who identify as transgender, gender queer, and gender expansive. In his letter below, Trevor Davis of Foster Family Services reaches out for help in identifying those who may be uniquely qualified to support LGBTIQ+ foster youth. Maybe that's you. Maybe that's someone you know, a proven ally of the community...a family member, friend, neighbor, teacher, medical provider etc. Trevor indicates people regularly rule themselves out as possible foster parents for various reasons when, in fact, there is support of and need for a wide variety of people to foster an equally large variety of children. No two foster families look alike. The orientation meeting being conducted by Trevor is designed for those with open minds and compassionate hearts who want to know more about fostering LGBTIQ+ youth in need. As a recent foster parent of trans youth and longterm member of the Transfamily Support Group of Santa Cruz County, I'd be happy to answer questions anytime about parenting trans children, youth, and young adults. If you are interested in learning more about fostering trans youth for yourself or others but can't attend the upcoming meeting, contact Trevor Davis directly for more information. I am writing to you as a follow-up to the conversations we have had over the last couple of weeks. I am seeing a critical need to identify local foster homes run by parents able to provide safe, loving care to trans youth. I could not be more clear that you and the good folks connected to the Transfamily Support Group are local experts in this realm, and I am hoping for both guidance and support in finding the right homes. I have been connected to Child Welfare in Santa Cruz County for a little more than 20 years. In those first couple of decades, I was aware of just two trans youth who entered the local foster system, but over the past two years, there has been a powerful and growing trend. We have as many as ten trans youth in foster care right now! Some of these youth are in wonderful homes; others are not where I want them to be. The normal starting point for becoming a foster parent is to attend an orientation. This is an informal gathering - lasting two hours or less - during which we review the basic steps required to move through an approval process. Just as we did in your home a little more than a year ago, I am wondering if it would be possible to assemble a group of people who might have interest in providing short- or long-term care to a local trans youth. Any help you can provide in spreading the word, shaking the trees, finding people who know people etc. would be greatly appreciated! Something worth mentioning: I find that many people are inclined to rule themselves out from consideration to be foster parents. They conclude that they are not wealthy enough - not home owners - not married - not straight - etc., and, therefore, won't be approved, but the reality is that folks with a loving heart and a little bit of bedroom space typically can be approved to have foster kids in their care. Thank you so much for taking the time with me on this pressing issue! I'm hoping we might be able to assemble an orientation as described above sometime in either April or May. Please feel free to pass on my contact information to anyone who might have questions I could answers about the home approval process. This National Foster Care Month, the HRC Foundation and FosterClub are excited to once again promote the #FosterEquality campaign. By sharing stories of LGBTQ youth in foster care, we hope to bring their experiences to life and encourage everyone to support LGBTQ foster youth. We start with the story of Russell Barnes and his foster care experience. Originally from Minneapolis’ eastern suburbs, Barnes entered the Minnesota foster care system at the age of 13 when he was still figuring out his sexual orientation. Like far too many LGBTQ young people, Barnes received disparaging messages from peers at school and some of his foster parents. 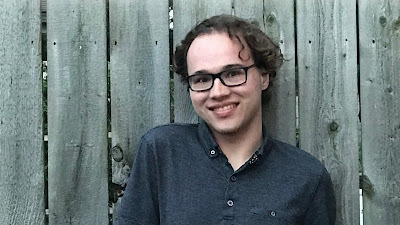 Experiences like these added to his anxiety and depression and intensified his struggle with an eating disorder.Fortunately, Barnes’ final foster home showed true support and acceptance. As a FosterClub All-Star, Barnes is now advocates to make foster care systems more welcoming for LGBTQ youth. He stresses the importance of allowing young people to be in control of how and when they share information about their sexual orientation and gender identity. HRC’s All Children – All Families project works with adoption and foster care agencies nationwide to ensure that agency staff implement best practices so that LGBTQ youth feel accepted in their placements and given the opportunity to thrive. You can read Russell Barnes’ full story here. Check back with HRC’s blog throughout National Foster Care Month for more stories raising awareness about the experiences of LGBTQ foster youth.